Car Interior – In late 1900, the first car was invented by some experienced manufacturer. Since then a four-wheeler has become a fantasy for most of the people. At that time, a car was only used to travel from one place to other destination. Various Modification Tips and Tricks to Improve the Car Interior Looks. But nowadays, car manufacturers try to give more attention to the performance and the looks of the vehicle which is worth it. With the help of the new technologies or new products, these four wheelers indeed have increased their product value. But, as we all know, there are certain limitations in this sector too. Let’s start with the most essential yet ignored thing while modifying the interior looks of a car. Steering Wheel plays a significant factor in the overall looks. Recently, most of the companies offer a premium leather wheel cover which is quite backdated. So to improve the overall grip and aesthetic looks, a well-themed wheel cover is required surely. Now have a look on another aspect, which covers about 70-75% of your car interior portion. Almost all cars are equipped with a medium B grade fabric which is not suitable for modern usage. For this, users have to buy a premium leather custom designed Seat Cover. It will change the whole looks of the car. After seat cover and wheels, the next thing users need to do is to upgrade the floor mats. It will surely give a great look. Apart from these, floor mats also act as a dust and dirt protector. Floor mats are washable and easy to maintain. Users need to buy good quality floor mats to upgrade the interior of four wheeled cars. In modern cars, there is a sufficient number of storage and pouches are available to use. But in most scenarios, there is a possibility to run out of spaces. In that case, we need to add extra storage containers and pouches. This will also add an ample value to the interior looks of a car. Recently, modern LED lights add an extra effect on the interior side. There are a lot of sports cars featuring neon lights and technologies. Thanks to DIY upgrade, users now can easily install the latest LED system in the basement or on the boot of a car. These lights could be controlled manually or via a remote system. Generally, during the daytime or at night, there is a high possibility to cause an accident because of phone calls and driving at the same time. So, here is a small but effective solution. Users should install a phone mount, which is also can be used for listening to music and using GPS. USB outlets are required to charge the cell phone or listening to music via pen drive. 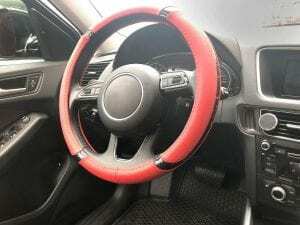 All these parts are readily available in the market in our budget.These are the few steps to improve car’s interior design following these steps How To Maintain A Car? would improve the interior looks of a vehicle and help the customers to build a custom modified car at a low price.